Updated, 5:30 p.m. Tuesday with security camera photos of suspect. 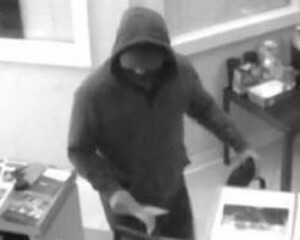 Fairfax County Police are investigating a bank robbery that took place Saturday in Reston. 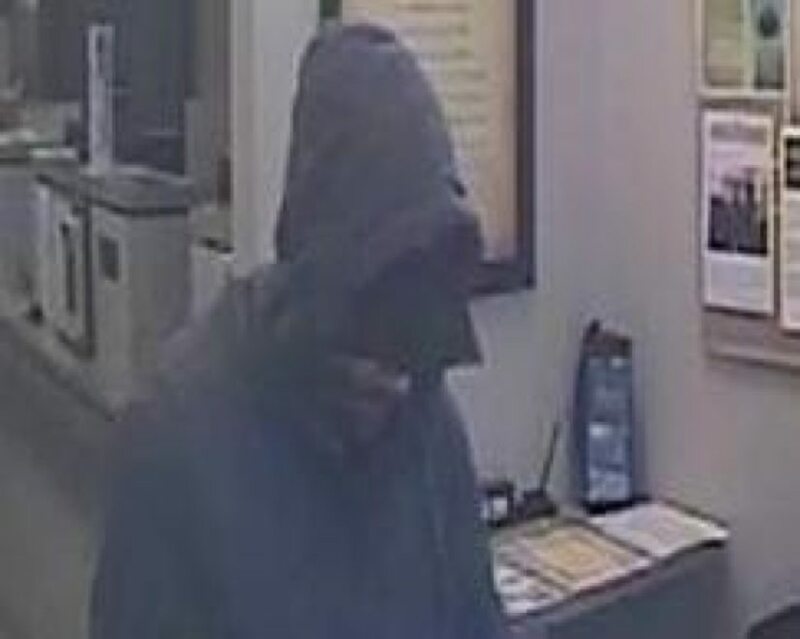 Officers were called to the Sona Bank at 11527 Sunrise Valley Dr. around 10 a.m. Witnesses told police a man walked into the bank, handed a teller a note announcing a robbery and demanding money. An undisclosed amount of cash was handed over and nobody was injured, police said. The suspect fled on foot. The suspect was described as a white male, 25-30 years old, 5 feet 7 to 5 feet 8 inches tall and 170 to 180 pounds. He was wearing blue jeans, a gray sweatshirt and sunglasses. The police helicopter and K9 team responded to the area. Anyone with information about the robbery is asked to contact Crime Solvers electronically by visitingwww.fairfaxcrimesolvers.org or text-a-tip by texting “TIP187” plus your message to CRIMES(274637)** or by calling 1-866-411-TIPS(8477), or call Fairfax County Police at703-691-2131 .